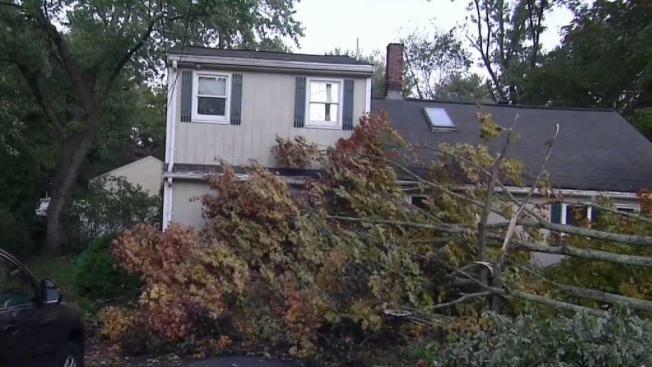 People are still cleaning up after three tornadoes touched down Tuesday in Massachusetts and Rhode Island. 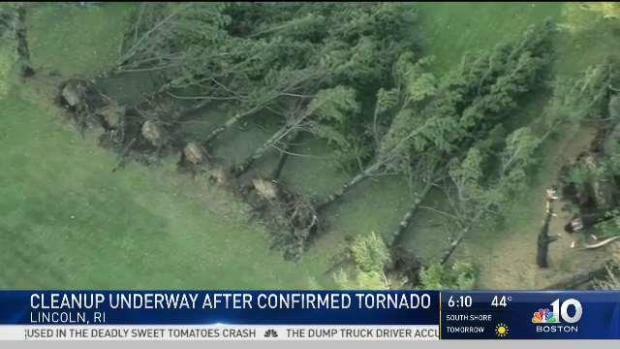 Two more tornadoes have been confirmed to have hit Massachusetts during Tuesday's storms. 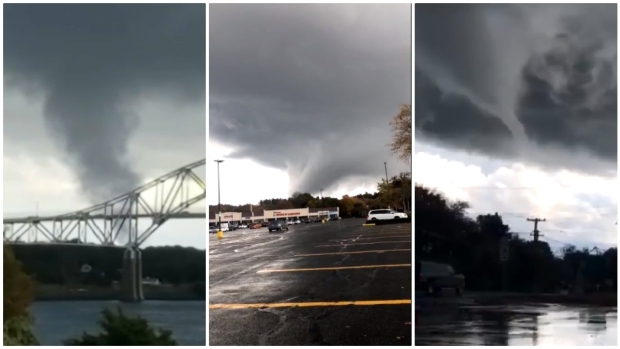 National Weather Service officials confirmed Wednesday that Norton, Massachusetts, and Lincoln, Rhode Island, were were hit by tornadoes; meanwhile, Sandwich, Massachusetts, on Cape Cod was hit with a waterspout/tornado. Friday, the National Weather Service confirmed tornadoes in Hardwick and Hubbardston. The same wind that produced the Lincoln tornado created powerful gusts in Norton, Massachusetts. Fallen trees blocked driveways and damage was so severe that NWS officials plan to investigate if a tornado hit the town, as well. Residents in Lincoln, Rhode Island and Sandwich, Massachusetts are preparing cleanup efforts after two separate tornadoes slammed through the towns. Nearby towns had toppled trees that left debris scattered around streets and numerous reports of downed power lines were received. Roofs could be seen ripped off of homes as well as shattered windows. A tornado warning was in effect for about an hour in parts of Norfolk, Bristol, and Plymouth counties in Massachusetts, as well as part of Providence County in Rhode Island Tuesday afternoon. "All of a sudden my phone had an alert on it," said Tara Carcieri, who was with her 5-year-old daughter during the tornado. "Said that there was a tornado in our area and it said now, so I jumped off the chair, grabbed her." Carcieri grabbed her young child and darted downstairs. "As I was walking down to the basement all I heard was smashing," said Carcieri. "Smashing windows, I didn’t know what was happening. I was so nervous." Shattered windows left dangerous debris around her home, including the same room Carcieri and her daughter were just in. Firefighters went door to door assessing the damage and making sure everyone was accounted for. By nightfall, crews were spread out across the neighborhood, cutting down trees that had brought down power lines and trying to restore power that was knocked out to about 400 National Grid customers. No injuries associated with Tuesday’s storms were immediately reported.